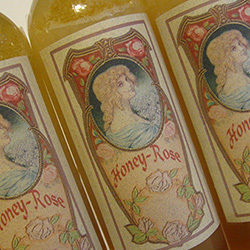 A product originally made for the purpose of healing and soothing over-worked and under-nourished hands and feet. Over the years it has become one of my most consistent selling items as it has proven to be extremely effective for treatment of skin ailments, including eczema, psoriasis, acne, rough heels and hands, pimples, boils, athletes foot, fungus, cold sores, split nails. It is very effective to alleviate itching and burning. When working shows and applying to a customers skin with psoriasis or eczema I could see this balm penetrate underneath the layers of skin within seconds. 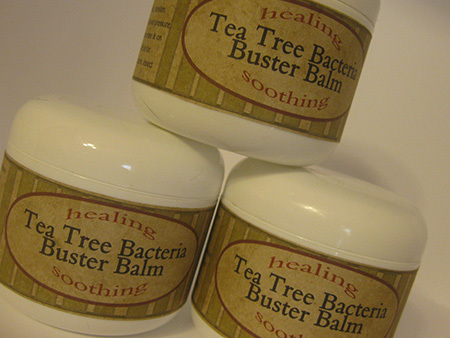 I use this balm in the winter a lot when my skin is dry as well as in the summer for itching and burning. If you suffer from dry, cracked lips you can apply a small amount to the lip area and the product will heal extremely fast. 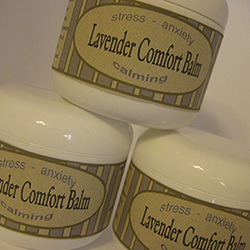 This balm is excellent in dealing with boils, pimples, as well can be used on your animals for hot spots, sores and callused pads. This super concentrated formula contains both Tea Tree and Lavender. This combination has proven of enormous benefit in relieving and improving psoriasis, eczema, rough, dry heels, athletes foot. I have sold this to many people whose children are dealing with debilitating ailments with much success. Use consistently for maximum benefits. 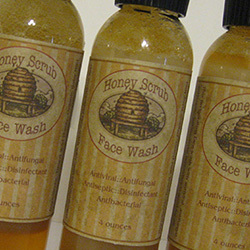 Ingredients: Almond Oil, Beeswax, Tea Tree, Lavender, Jojoba with Vitamin.